Being one of the distinguished Crucible Furnace Manufacturers In Mumbai, Meta Therm Furnace Pvt. Ltd has built its reputation for always delivering premium quality products to its clients. We always emphasise on pushing the traditional boundaries of innovation to equip our products with better technology and features. Our products are great for a broad range of applications and are used widely in different industries across the country. They are generally used for melting and holding small batches of alloys, and they are powered by either electricity or by fuels such as gas and oil. Compact Design - The compact design of these industrial furnaces allows their easy installation in any facility whether spacious or congested. Low Energy Consumption - Our electrical crucible furnaces consume low levels of energy, and it can save you a lot of money over the years. Solid Construction - They are also highly resistant to abrasion owing to their solid construction with grade quality raw material. 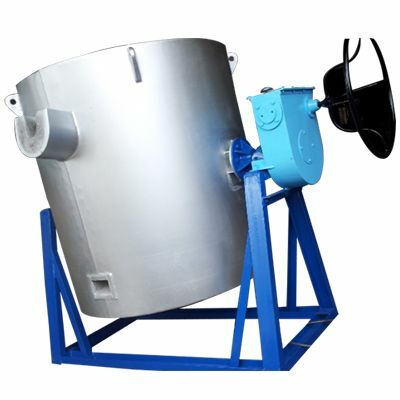 We are recognized as one of the distinct Electrical Crucible Furnaces Exporters and Suppliers in India. You can avail our products by either calling us or filling the given enquiry form.